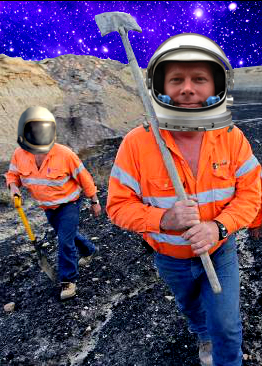 The US is trying to develop a commercial asteroid resources industry in outer space, and the new bill seeks to govern miners’ rights in the exploration and utilisation of asteroids. It is the first major regulatory step for extra-terrestrial mining since the 1967 Outer Space Treaty, which originally outlined international standards for space exploration and ownership of materials discovered in space. Now, the ‘Space Resource Exploration and Utilization Act of 2015’ (available here in PDF form), seeks to establish “the guidelines regarding the development of space resources by non-federal entities”. “This bill would create a domestic framework for assigning property rights for resources from asteroids and for settling any related legal disputes,” the bill states. Before this bill, there was no legislation on the rights of companies to resources mined from asteroids. However, the issue of lunar mining remains contentious. Planetary Resources – a joint project by Google and Virgin Galactic – is considered one of the front-runners for the future of space mining, while engineering firm Bechtel has joined the fray as well. Deep Space Industries is another firm formed for asteroid mining, and China has been exploring the the lunar surface for minerals too. In fact, the Chinese Government recently stated that “China's space exploration will not stop at the moon; our target is deep space”. Japan is rumoured to be planning to launch a probe to conduct mineral exploration on asteroids as well.